My Promise to you is your body will work better when you are clear and connected. The Potential is that you can feel better, have more energy, sleep better, have better digestion, and so much more. I have seen it time and again over the last 14 years. I became a Chiropractor because of the profound effect it had on my life. At age 15, I started seeing a Chiropractor after a neck injury while wrestling. My neck pain resolved and I was back to wrestling in a few weeks. That was amazing to me because I was better and I didn’t have to take anything. My mom kept bringing me back because I was very active in sports and she wanted to be proactive at keeping me healthier. This resulted in all kinds of health problems resolving. I had chronic digestive issues for years that resolved. I stopped getting sick all of the time which meant I stopped having to regularly take antibiotics and antifungals. I was able to process information better which resulted in me going from a remedial student to one that excelled into accelerated and advanced placement classes. During Chiropractic School, I realized that my improvements were linked to the Chiropractic care I was receiving. I realized that all people are designed to be healthy, happy, and productive. That is what I want for you and your family...to be the healthiest, happiest, best versions that you can be. LIVE BETTER! Dr. Wahl is a 2004 Graduate of Logan College of Chiropractic. He has also earned his Masters in Sports Science and Rehabilitation and a Bachelors in Human Biology. He has a Diplomate with the American Academy of Medical Legal Professionals, a Pediatric Certificate, a Neurodiagnostic Imaging Certificate, and a Brain and Spine MRI/CT Interpretation Certificate. Dr. Wahl is a Past Board Member of the Missouri Chiropractic Physicians Association (MCPA) formerly Missouri State Chiropractors Association (MSCA), Past President of District 1 of the MCPA, and Past Secretary of the MCPA Executive Board. 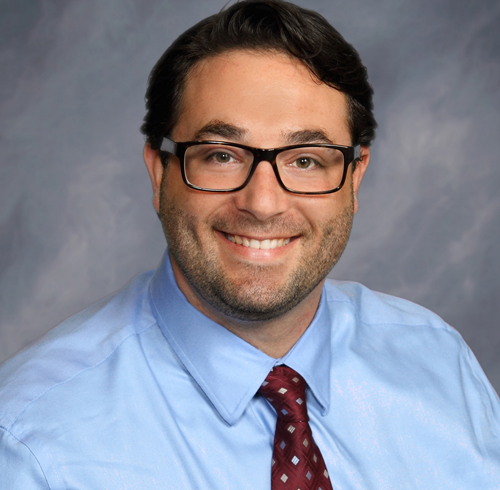 Dr. Wahl currently serves as President of the Parent-Staff Organization at Highcroft Ridge Elementary School and is a member of the Board of Trustees at Congregation Shaare Emeth. We take care of a lot of Families who want to live healthier without drugs or surgeries. Professional Moms and Dads with busy lives and schedules love our office for the convenience. After your first two appointments, we have flexible walk-in hours every week. Our goal is to help you FEEL BETTER, HAVE MORE ENERGY, and SLEEP BETTER so you can BE MORE PRODUCTIVE and HAVE MORE FUN in life. We care for individuals and families, from newborn to the elderly, become healthier through Principled Chiropractic Care. You may start because of minor aches or because you have a severe pain. You may start because you want a more natural way to resolve your chronic health issues. The majority of our office consists of Chiropractic fans who come in for regular wellness visits. Your visit will include a comprehensive consultation, digital postural analysis, detailed spinal exam to figure out exactly what is causing your problem. If we can help, a spinal adjustment will occur on that visit. The first visit can last 30-60 minutes. Have you been looking for a chiropractor in Chesterfield? You have been guided you to the right place. What we do here is Unique and Different. It is what we do here that allows us to get results when no other offices can. At Wahl Family Chiropractic, we look to strengthen the system that dictates your health potential so you can Live Healthier. We are here when you are ready to start your amazing journey back to a healthier and happier body. All Hours Are By Appointment ONLY. Call to schedule.